Keeping your crawlspace dry is an important part of safeguarding your home’s foundation from water damage. The right sump pump system will direct water into a basin and then remove intruding water from the home. You need to choose a pump that will work for your needs and provide you with years of service. Here are a few questions to consider when you’re searching for the right option. You can choose from two different types of sump pumps. Submersibles are designed to run even when completely covered by water. Pedestal pumps have the motor on a raised stand. This motor is not sealed and will be damaged if it’s covered by rapidly rising waters. Submersibles cost more initially, but people like knowing that they won’t have to worry about the pump being damaged by water. Pedestals are a good choice if you only remove small amounts of water from your crawlspace and have a small basin to work with. Submersibles also last far longer than pedestals with an average lifespan of 25 – 30 years compared with only 5 – 15 for pedestal pumps. Sump pumps are vital to keep your crawlspace or basement dry from rising ground waters. They’re most important when it storms and you have steady rain. You’re most likely to lose power in a rainstorm, and that can result in your pump shutting down. Battery backup pumps will continue running even in a power outage. You can also look for combination pumps that will run off electricity normally and then switch to the battery if the power goes out. If you need a sump pump to keep the basement dry, then you need some kind of a backup system to go with it. It’s also smart to check your pump during storms to be sure that it’s still operating properly. Not all sump pumps are created equal. The right one for your needs will depend on how much water needs to be removed at any given time and how far that water must be lifted to reach the exterior. All pumps work with a basin. Water from around the area is directed to the basin with the aid of French drains. When the water reaches a certain level, a switch on the pump is engaged and it will remove the water. If it takes a few days for the basin to reach that point, then a lower capacity will work for you. If you reach that level in a matter of hours, then you want a higher capacity to handle heavy storms. Homes with a crawlspace near ground level don’t need as much head pressure as homes with the sump pump eight feet below grade in a basement. 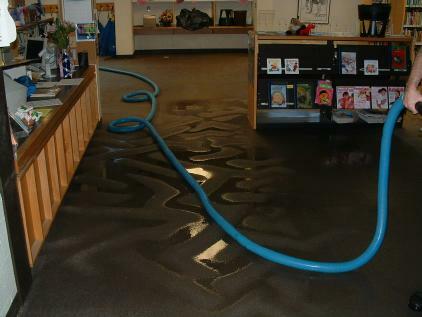 If you’re still feeling overwhelmed at the thought of choosing your sump pump, you can relax. We’re here to answer all of your questions and set your mind at ease. We’ll carefully inspect your house to advise you on the type of pump you need and what the required performance levels are. Once the pump is in place and everything is functional, we do recommend that you check the pump occasionally to be sure that it’s still working. If the basin is dry when you check it, then you can pour a little water into the basin to see if the pump turns on and runs properly. Keeping moisture levels also helps to prevent mold, so make sure you have the best sump pump for your needs.